We’ve already plunged wholeheartedly into the new year, but we believe in taking time to reflect on what made 2018 truly momentous. Thank you for helping to make Minted’s 10th anniversary year one for the books. And thank you to the Minted artists who shared their anonymous feedback in the Most Memorable Minted Moments poll. Here’s a look back (in no particular order) at some of the noteworthy events, product launches, and surprises that stood out in the minds of Minted artists around the world. August 7, 2018: Petra Kern was nearly speechless in the moments after Minted Founder and CEO Mariam Naficy presented the award for winning top prize in Minted’s What a Bright Time Holiday Photo Card Challenge. As the largest “Mintie meetup” to date, nearly 200 Minted artists traveled from around the world to attend the Las Vegas retreat, August 6–8. With a series of insightful panels, design workshops, and creative meetings of the mind, many attendees viewed Camp Minted as an action-packed way to celebrate Minted’s 10-year anniversary. Minted Founder and CEO Mariam Naficy hugs Petra Kern, the first-place winner of Minted’s Holiday Photo Card Challenge. Minted artists at Camp Minted from left: Susan Asbill, Stacey Meacham, Karidy Walker, and Heather Francisco. Moving to monthly commission payments was a Very. Big. Deal. “BIG NEWS!! Two of my greeting card designs are now being sold at Target. #dreamsdocometrue” writes Minted artist Jennifer Pace Duran on her Twitter and Instagram. 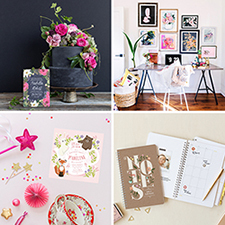 When Minted made its Target debut with everyday greeting cards in fall 2017, we were excited about entering a whole new product category. 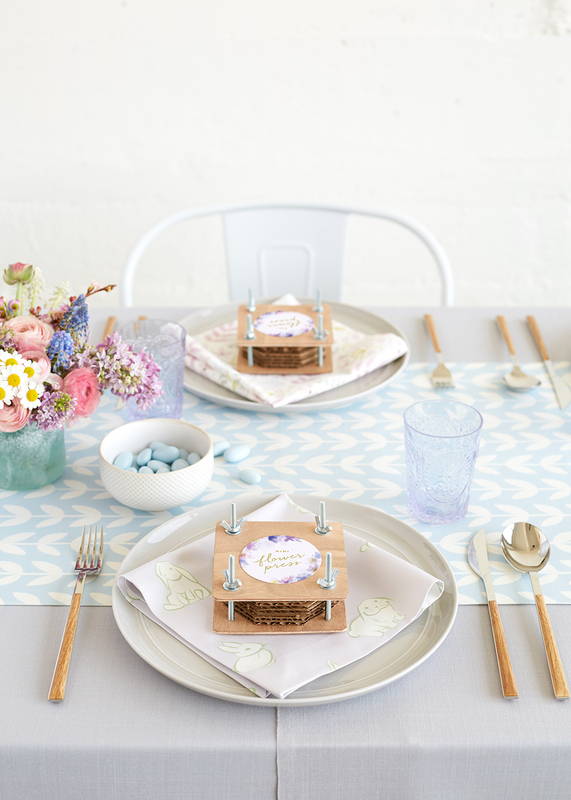 Target guests were just as delighted with Minted’s new line of cards as the Minted artists whose designs were displayed at one of the world’s most recognized retailers. Armed with our learnings from the kickoff, in 2018 Minted expanded its Target partnership with Mother’s Day greeting cards, followed by the rollout of 49 holiday products, including 16 sets of boxed holiday cards, single greeting cards and holiday gift packaging items. One anonymous artist commented in the Minted Moments poll that Minted Greeting Cards Challenges have given her a fresh new perspective on her designs. ”It’s been amazing to see how diverse Minted has become and how they’ve opened so many more doors for me as an artist,” she writes. Melanie Mikecz’s “Multicultural Santas” design made a positive impression in Target stores and on this Scary Mommy writer. Minted artist Ashley Peterson of 2 Bird Stone used a Minted Holiday Flat Lay template posted this Instagram post to promote her “Super Happy New Year” card. The “Black Sheep” Minted Art Mural by Rose Lindo of Edmond, Oklahoma, took center stage at Minted the NSS booth, alongside displays of Minted Greeting Cards. Minted artists traveled from all around to attend the Minted Cocktail Party during NSS in 2018. The Rainbow Cake from Flour Shop by Amirah Kassem was a party in and of itself! “Blast Off” Minted All-In-One birth announcement by Griffinbell Paper Co. Following on the heels of successful launches of Minted’s innovative All-In-One Wedding Invitations in 2017, we introduced All-In-One Birth Announcements in October 2018 followed by All-In-One Holiday cards. To develop the All-In-One collections, we repurposed some of Minted’s existing designs and also invited winners of 2018 Wedding Invitation Challenge to submit all-in-one formats along with the traditional card format. Francois Carrara, Minted’s Director of Merchandising Operations, says his team enjoys finding ways to repurpose existing designs to maximize commission earning opportunities for artists. “Creating multiple product formats out of an initial design is one of the ways we try to help artists focus on creativity,” he says. Early in the year, we added a “Special Shout-outs” to the Winners page to celebrate Minted artists’ major milestones. The rotating carousel highlights first-time wins as well as 25th, 50th, 100th wins, etc. Minted dove deeper into the world of large-scale art in September 2018 with the launch of Wall Murals, followed quickly by an October rollout of Children’s and Nursery Wall Murals. The adhesive, removable wall panels have become a hit with people who want to make a big impact without the major commitment. Click to take a video tour of The Minted Store, shown here in December 2018. The second iteration of The Minted Store opened its doors on Black Friday, at 1919 Fillmore Street in San Francisco. Showcasing a beautifully curated breadth of Minted’s online offerings, the new Minted store carries Minted Art (including in-store printing and framing), stationery, greeting cards, Little Mint, home decor, and more. After about two years at its original location in the heart of the touristy Union Square area, the new store is right at home in Pacific Heights, one of the city’s most beautiful and viewtastic neighborhoods. About the Author: Amy Cuevas Schroeder, Minted’s Senior Manager of Community Content, founded Venus, the magazine about women in the arts and DIY culture, and has written for Etsy, West Elm, NYLON, and Pitchfork. Connect on Instagram @thevenuslady.